"Smart city" is one of the most used buzzword in the Hi-Tech industry today, while no one is talking about "Smart rural areas" although about half off the world population is still living in those areas which cover the majority of land in the world. very long distance between the facilities, challenging topography, small communities and limited resources and budget. 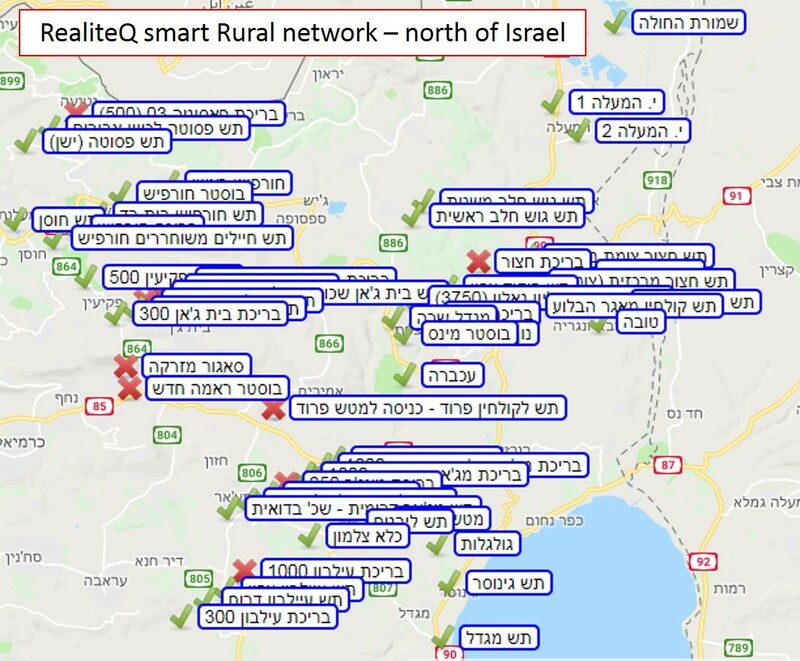 RealiteQ with its unique capabilities is the optimal solution for smart rural system to remotely control, managerial and operational technology. RealiteQ is an advanced proven, highly secured IIoT (Industrial Internet of Things) End-to-End (all in one) remote control technology which is from one hand most advance technology, but in the same time it is economically affordable, easy to install and use and no special technical capabilities are needed. The system is Modular and can grow from one site to thousands of sites as needed, with no limits in the distance between sites. There is also no need for special expensive control room. Any authorized personal can use the system from its own device (PC, Laptop, Tablet, Smart phone) with no need to install any software or application. There is also almost zero maintenance and it is done remotely by us using SaaS (Service as a Software) Model.